Manchester United are reportedly among the clubs stepping up their interest in £55million-rated Lyon midfielder Tanguy Ndombele. The Red Devils were joined by Chelsea in sending a scout to Germany this week to watch Ndombele in action for Lyon against Hoffenheim in the Champions League, according to the Daily Mirror. The 21-year-old has made a real impression in recent times and could be ideal for United given their current struggles in midfield. Paul Pogba and Fred have not been at their best this season, while Nemanja Matic also cannot go on forever, with Ndombele looking likely to become one of the finest players in the world in his position for the next few years. The Mirror also notes of interest from Manchester City in the France international, so it will not be easy to win this particular transfer battle. United, however, are known for their financial power and recent big spending on several of the world’s biggest names, so this deal shouldn’t be beyond them. 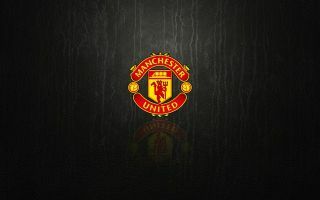 Fans will hope this latest reported scouting mission is a real signal of intent from the Red Devils to steal a march on their rivals and get a huge signing done.